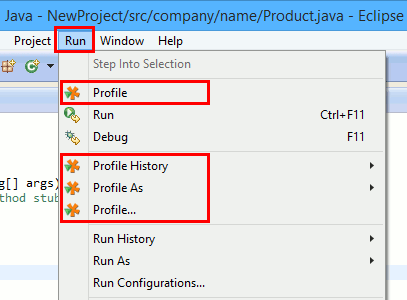 Use Profile from within IDE... action on Welcome screen or in "Tools" menu, select "Eclipse" and follow the instructions. The wizard will automatically open these instructions in your browser. Please follow them to complete the plugin installation. ... and in context menus. 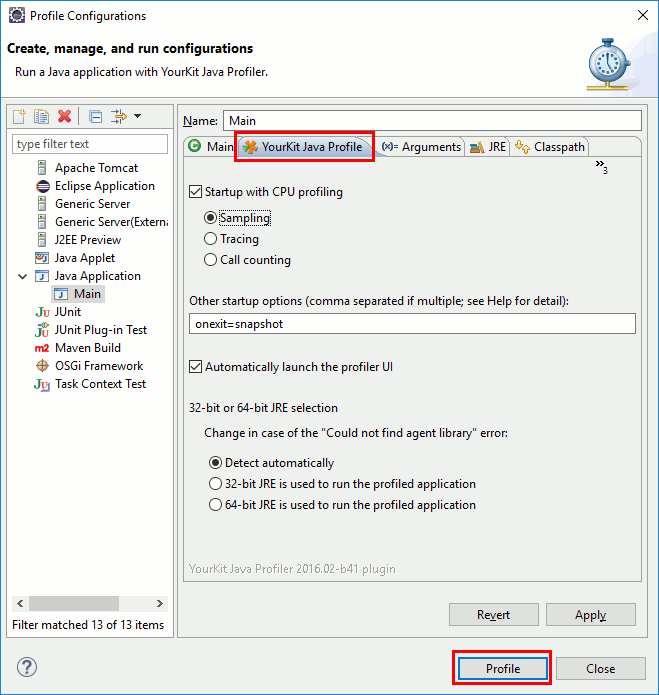 Additional launch parameters can be configured with Run | Profile..., tab YourKit Java Profiler. 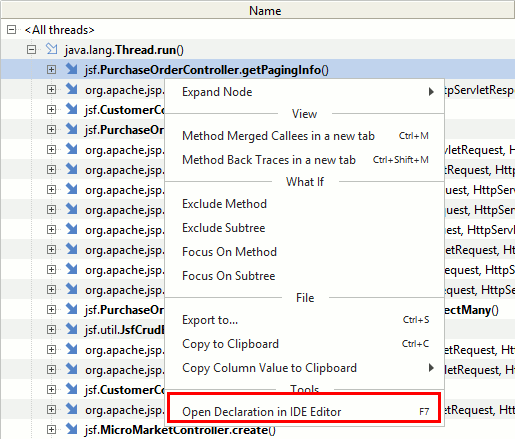 By default, the plugin attempts to automatically detect the JVM kind by obtaining available information from Eclipse. For particular run configurations this may happen that the automatic detection is not possible. In this case Profile will fail with an error like Error occurred during initialization of VM. Could not find agent library printed in the Eclipse console. In this case use the "32-bit or 64-bit JRE Selection" section to specify Java bitness explicitly.